Select your boat, trip, passenger amount and date / time. Your price will be calculated. Only after we confirm availability of your requested date - will you be asked for a small deposit of up to 15% and the balance will be payable at the time of the charter. Please select an alternative Date / Time if possible. If your first selected Date / Time is not available, we can immediately try and get availability for the alternative dates. 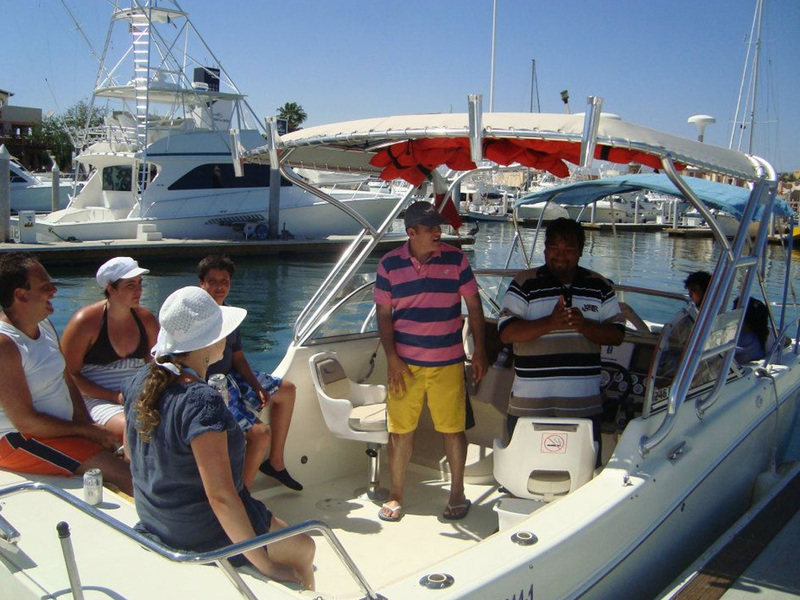 This family owned and operated a business in Cabo San Lucas, which has been providing nautical tours and adventures since 2010. 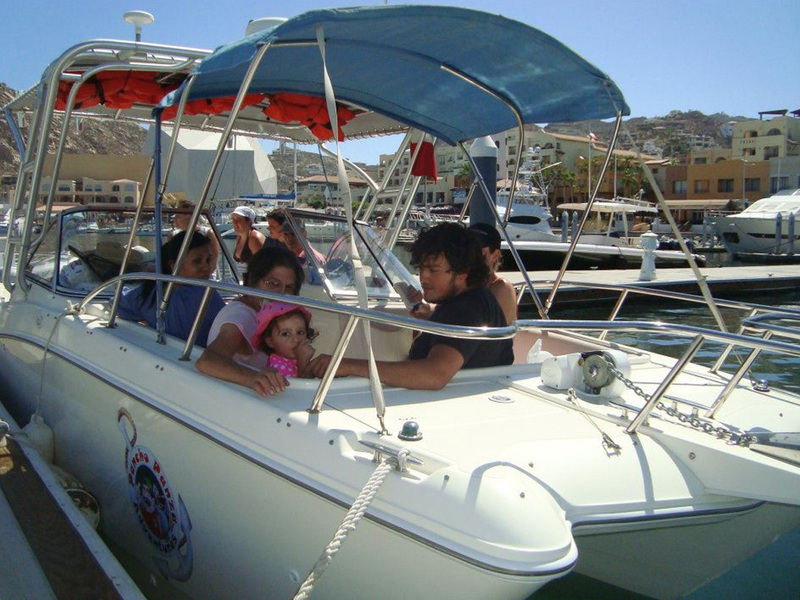 Their goal is that you can have a close encounter with nature by experiencing outdoor activities in an aquatic atmosphere aboard our private multipurpose vessel; that meets all the sea safety requirements to navigate in open waters and therefore allows them to welcome each member in your group or family of all ages. So, if what you seek is to enjoy a responsible and sustainable tourism adventure by reliably trained and aware staff, then do not hesitate because they are your best choice and you can be sure that you will be satisfied with the end result. This tour is already a classic. It is traditional to cruise across the bay and visit the peninsula beginning to end. 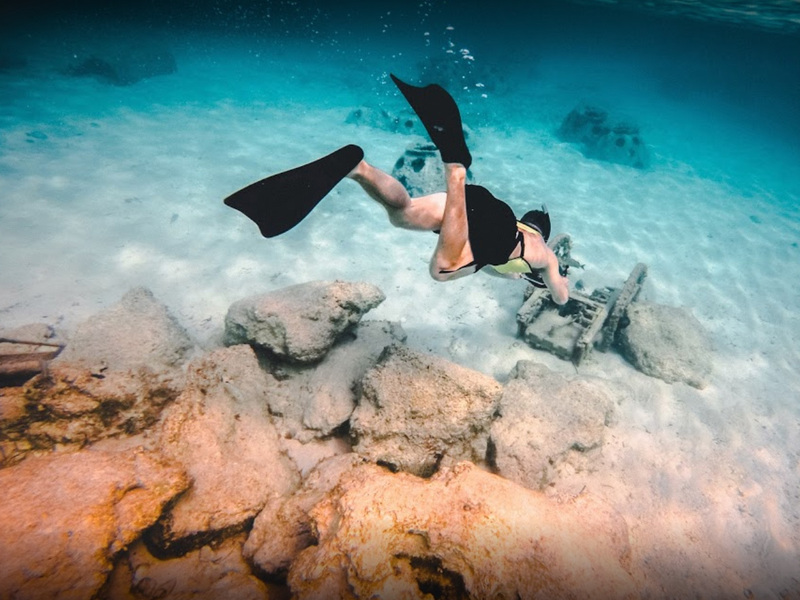 You will have an opportunity to see all the landmarks, such as lover's beach, divorce beach, natural rock formations, pirate cave, pelican rock, sea lion colony and of course the famous arch. You will assure the most beautiful photo opportunities on your private cruise. This early evening cruise is ideal for those seeking privacy and tranquility away from the crowds. If you love photography this is an excellent opportunity to capture the stunning beaches, historic landmarks and the beautiful Spanish architecture of the lovely resorts, as well as your classic photo in front of the world famous Arch. 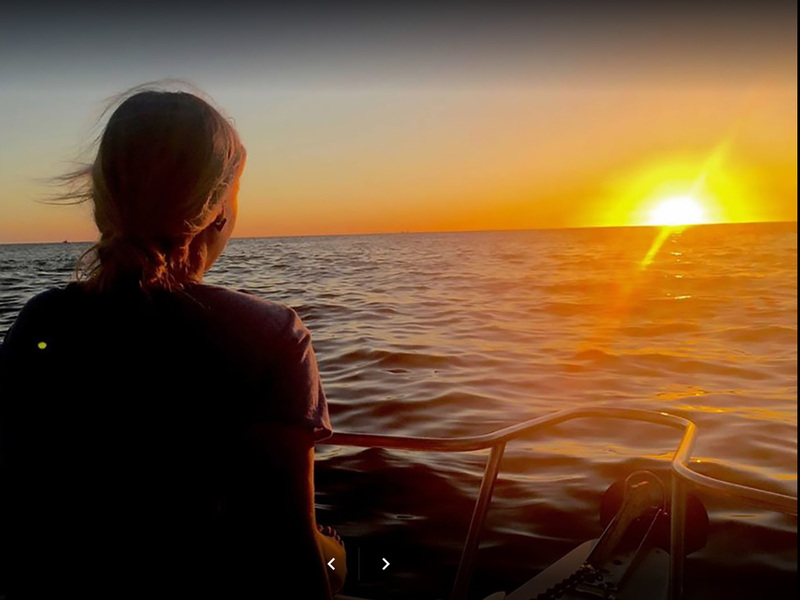 Enjoy the wonders that nature provides as we cruise along the coast of the Sea of Cortez and watch the sunset on the Pacific Ocean side. Sit back, relax and enjoy watching the moon, stars and twinkling lights of Cabo San Lucas as day becomes night. An unforgettable evening. This is their most popular tour and you can see why. They begin the tour with a cruise along the beautiful peninsula while pointing out all of the landmarks, including lover's beach, sea lion family and of course the famous arch. You will have ample time for memorable photos. 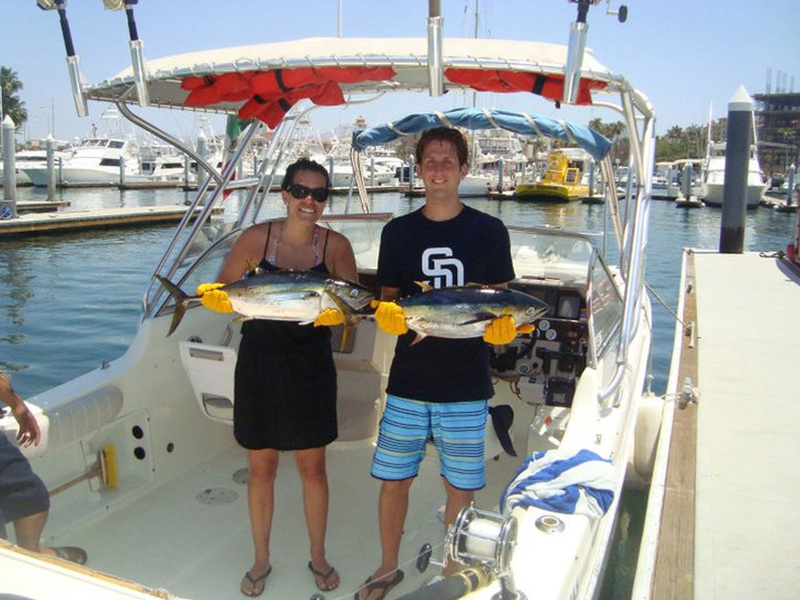 They then cruise to either Santa Maria or Chileno Bay for snorkeling to enjoy the abundance of tropical fish. Imagine the privacy of your own boat, no crowds or rushing. Enjoy the tranquility and calm water of the bay from simply relaxing on your boat, or jump in for a swim in the crystalline waters. This is a tour for every one of all ages, as you can be as relaxed or active as you choose. 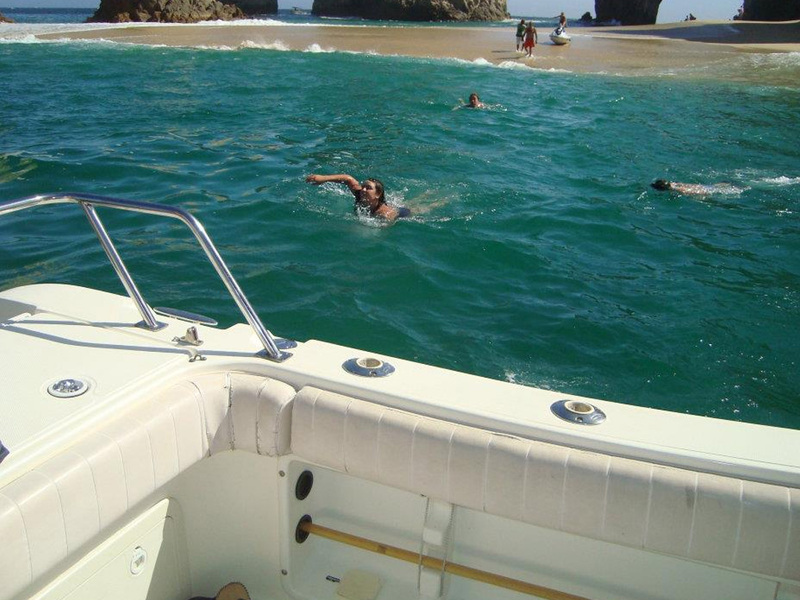 A perfect day on the water in beautiful Cabo San Lucas. 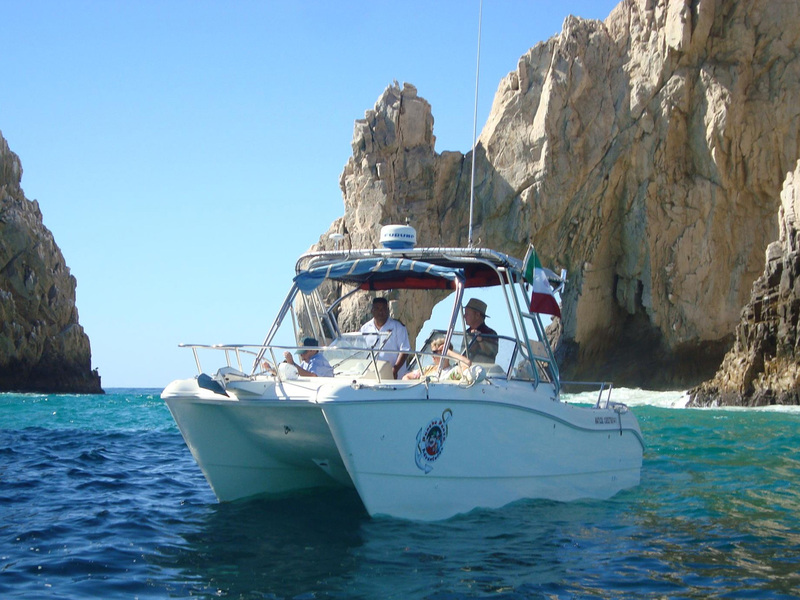 Through the years Cabo San Lucas has become a top destination for sports fisherman from all over the world. If you are looking to reel in the big one or just a great day on the water fishing for your dinner, you will not be disappointed. The waters off Cabo, where the Pacific Ocean and the Sea of Cortez meet are some of the most nutrient rich waters in the world, which create a very rich food chain and provide us with a huge variety of species, which include marlin, dorado, wahoo, yellow fin tuna and many more. 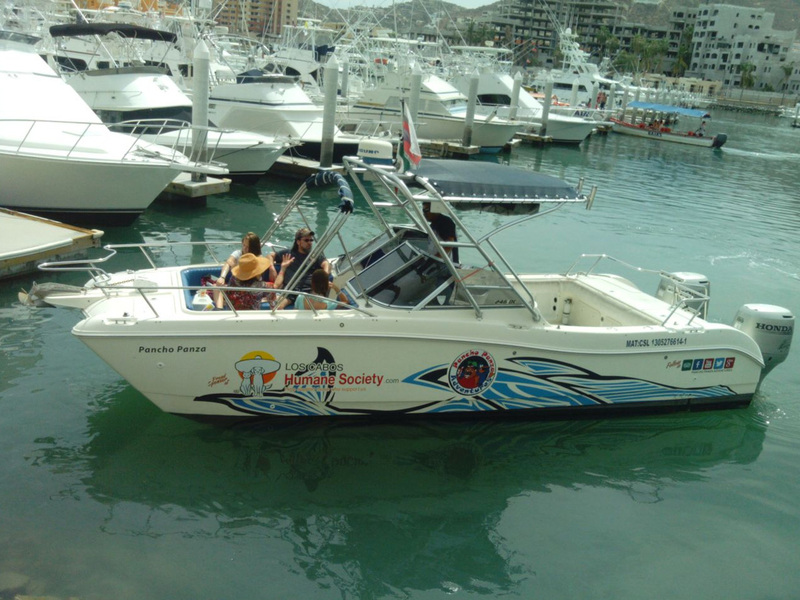 We could go on and brag about more things that make Cabo a great fishing spot, but we´d rather you to come aboard with and experience it for yourself. 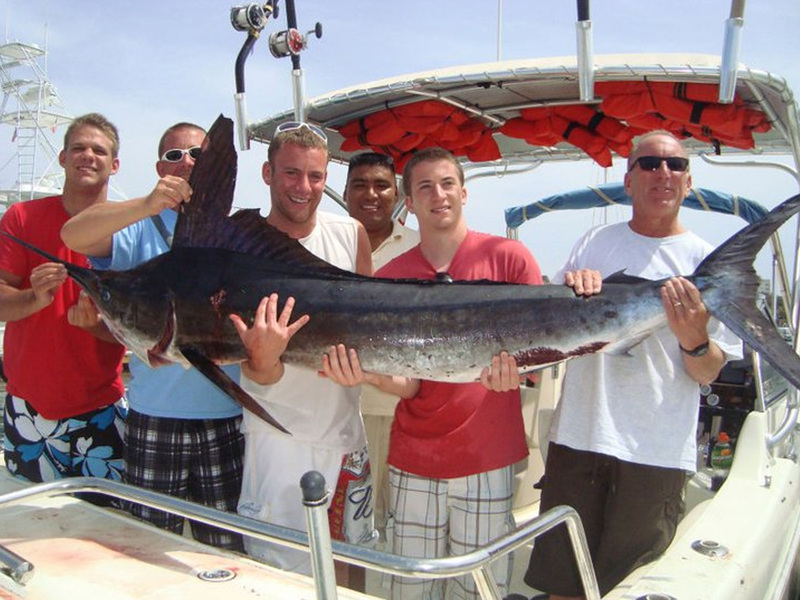 Los Cabos is a year round fishing ground so when one species is down, others are not. It's very rare to go out and get 'skunked' but it does happen once in a while, after all, that's why this recreational activity is called fishing. Our fishing journey is geared more for families and novice anglers so our goal is to make sure everyone has a good time. Come see these majestic giant creatures up close and personal. 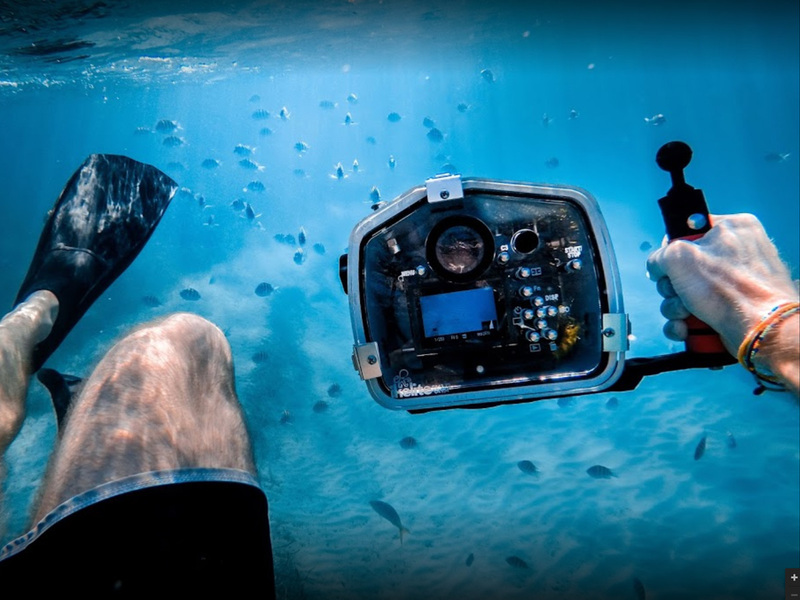 Be sure to bring your camera as you will have ample opportunities to photograph the whales. Their Captain, who grew up in these waters and knows and loves nature, will use his expertise to spot and find the whale pods and then describe to you the family composition. This is a must do if in Cabo during the season and will give you memories to last a lifetime. © 2019 Cabo San Lucas Yacht Charters, all rights reserved.